chateau zoe is a contemporary, relaxed sharing dining restaurant offers innovative Western cuisine. 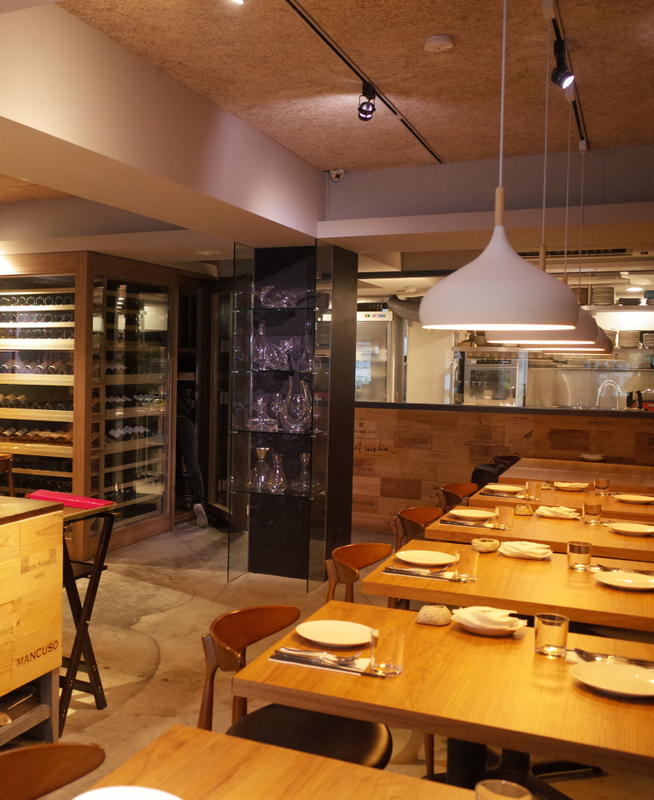 We provide wide section of wine and wine cellar space for rental on B1. Dining space is about 30 seating on 1F, 14 seating for private room on B1. Suitable for gathering , wine party , business dinner or just food lovers! We offer a la carte menu, specials of the day , customized set menu and pre-ordered chef’s secret dish. Chef Zoe is the soul of restaurant with innovative New-American cooking style. Fresh caught fish is offered almost everyday, also some special limited dishes is promoted on irregular period. Wine lovers just love the Riedel glasses and various decanters provided in the restaurant. Our service team will love to assist you for choosing wine and food or even wine paring. Our goal is to see you leave happily and satisfied. We serve wide wine sections, spirit, sake and beer. Wine pairing available, please ask our sommelier. 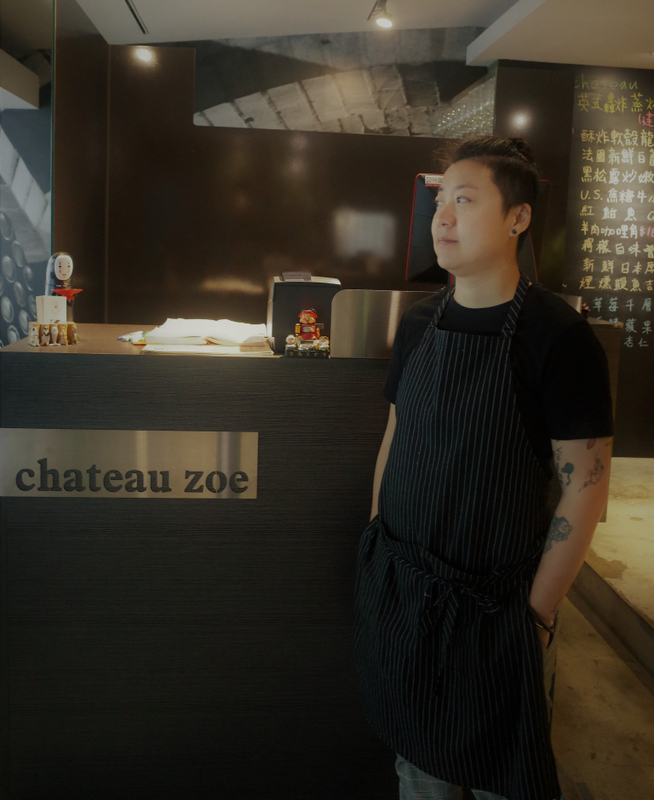 Chef Zoe is the soul of restaurant with innovative cooking style. She loves fusion cuisine, combines local products with western herbs and spices. She used to work as a computer engineer, that explains how she thinks out of the box for her dishes. Please get ready to collect WOWs in chateau zoe.